Innovative Auto Vehicle Inventory Management. 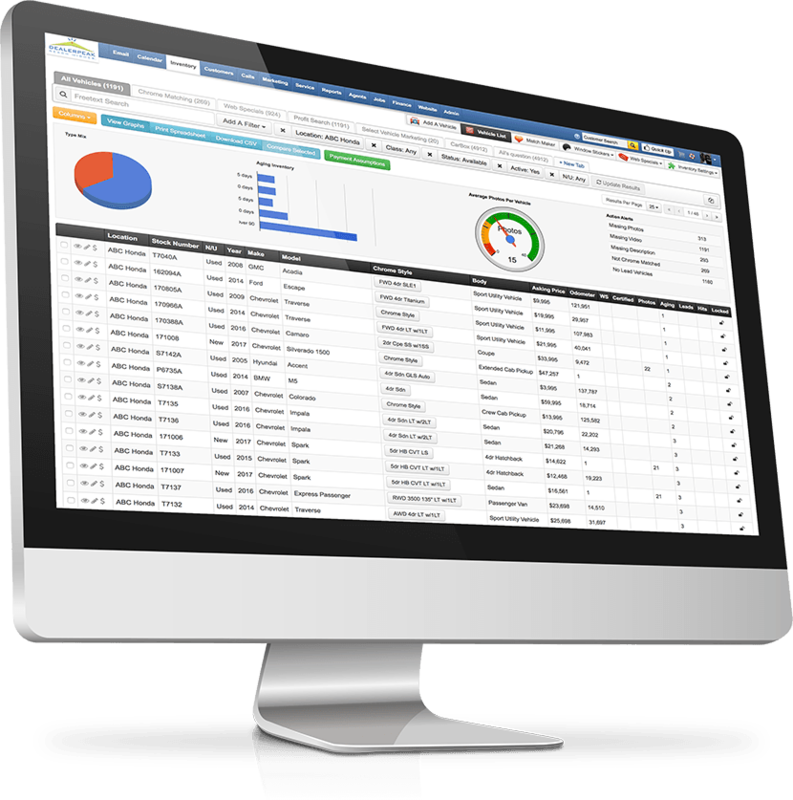 A single-screen online inventory management tool. Easy to use. Actionable insights. In today‘s online environment you're not just competing with dealerships down the street for business - you‘re competing with dealerships across the country. It‘s more important than ever to stock the right mix of vehicles, price aggressively, and employ savvy marketing strategies to win the sale. DealerPeak‘s online inventory management tool keeps your inventory up-to-date, and helps you easily manage, analyze, and market your inventory in new, innovative ways, all from one single-point of entry. Take control of your biggest asset. Choose how you want to view your inventory with a completely configurable interface that instantly displays the metrics that matter at that moment. With virtually unlimited filters and tabs, it‘s easy to switch back and forth between views. This capability also delivers quick insight into the health of your inventory from a marketing and aging perspective. No more multiple log-ins or going in and out of screens to see vehicles. Single-screen access to all your inventory information makes it easier to make sound buying, marketing, and selling decisions. A hyper-efficient workflow also includes appraisal and vehicle history reports only one click away. Personalized views for management and sales allows for complete control over who sees what aspects of your data. Optional DMS and third-party integrations allow you to decide who has access to your data, adding an extra layer of protection and convenience. Features for the biggest return on your vehicle investments. Create branded, detail-rich window stickers directly from the DealerPeak tools. Manually apply rebates and easily make pricing adjustments for one vehicle or a group of vehicles. 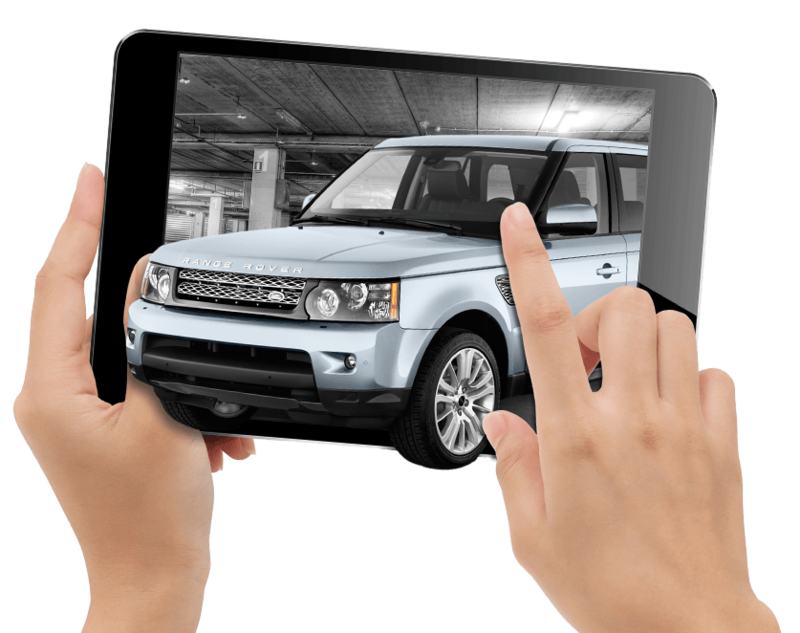 Put shoppers in the driver‘s seat ready to buy with integrated photo and video uploads. Get the most out of every deal with this powerful selling tool that searches your inventory based on a percentage of book value, or other criteria, to find the vehicles that best match the deal you are working on. Find the right vehicle for the right buyer with integrated searches of in-stock and virtual trade-in vehicles for one store, or across multiple locations. Push inventory listings to your choice of third-party vendors to better market your vehicles. Add custom vehicle searches to a customer record and receive notification when a preferred vehicle becomes available in inventory. This tool gives the power back to the salesman and leads to a potential sales opportunity.